Following a speech in the Israeli parliament, Human Rights Watch (HRW) accused US Vice President Mike Pence of ignoring “entrenched discrimination” facing Palestinians in occupied Jerusalem. 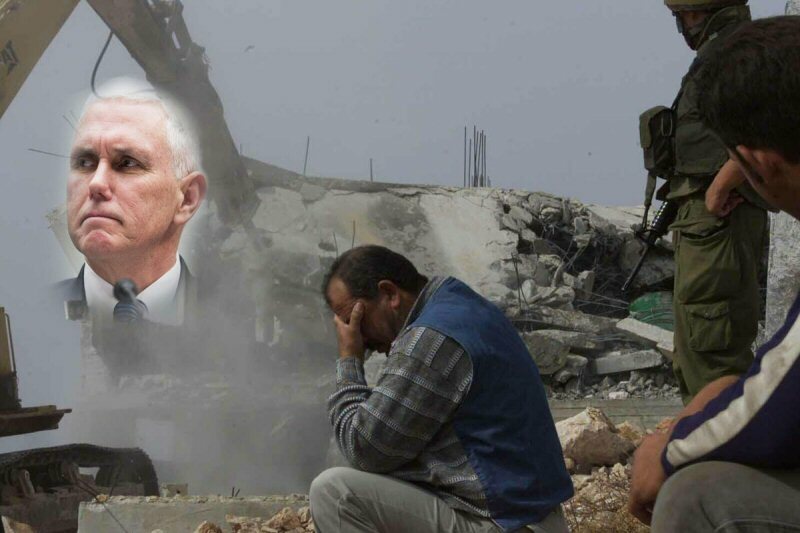 Sarah Leah Whitson, executive director of the Middle East division of Human Rights Watch, said that while Pence “lauded Jerusalem’s pluralism”, he “unsurprisingly ignored entrenched discrimination against Jerusalem’s 330,000 Palestinian Christian and Muslim residents”. “One cannot speak of safeguarding persecuted minorities in the region and turn a blind eye to Israel’s two-tiered system in Jerusalem,” she continued. However, they were all Palestinians, but now they are only 37 per cent of the population. Human Rights Watch also accused Israeli authorities in Jerusalem of discriminating “in budget allocation between Palestinian and Jewish settler communities in East Jerusalem,” noting that in 2013, 10 per cent of Jerusalem’s municipal budget went for projects in Palestinian neighborhoods. “As a result, Palestinian neighborhoods have infrastructural, health, recreation and educational services that are far inferior to those in Jewish neighborhoods. Israel also revoked the residency of at least 14,595 Jerusalemites since 1967, all of whom were Palestinian,” the press release concluded.